XO Condos is launching to Lifetime Prestige Club Members on April 3. Located at King & Dufferin, XO is at the intersection of some of Toronto’s most popular neighbourhoods including King West, Queen West, Liberty Village and Parkdale. 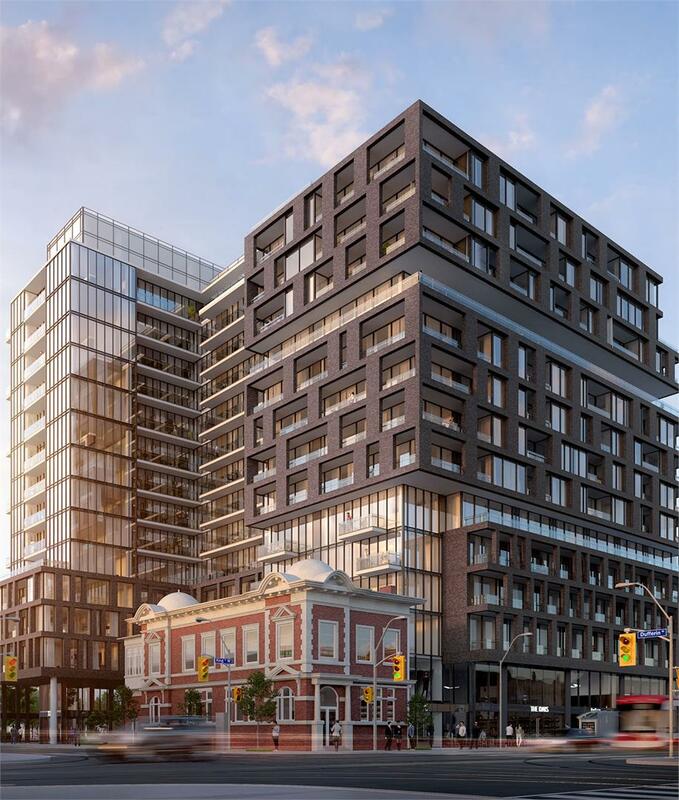 The neighbourhood is currently going through a series of changes and XO is ideally located to take advantage of the growth along this key corridor. 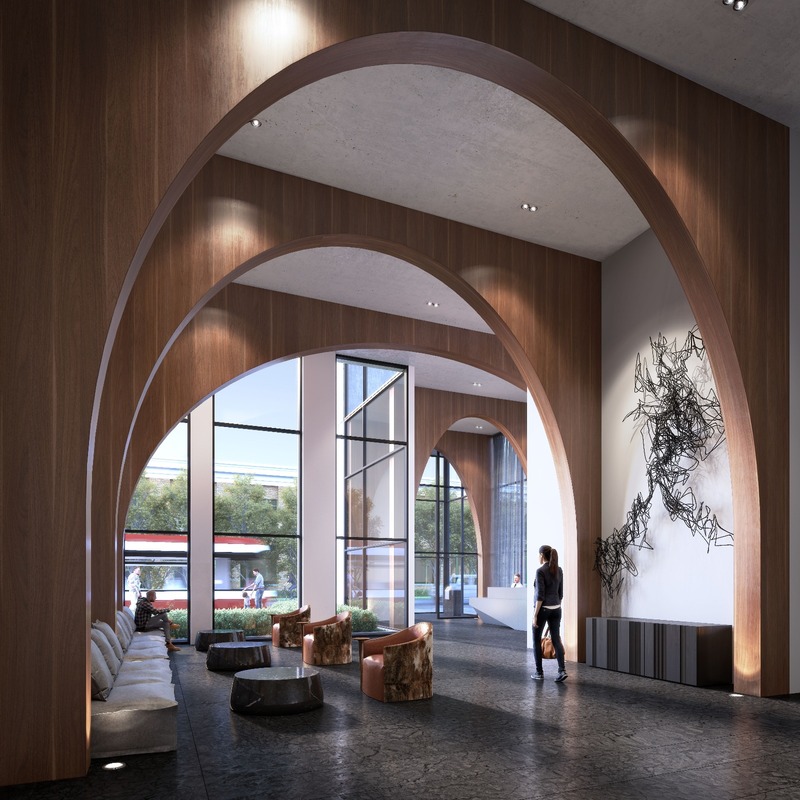 Roy Bhandari and Brian Brown discuss everything that makes XO an incredible new condominium project for investors and end users alike. 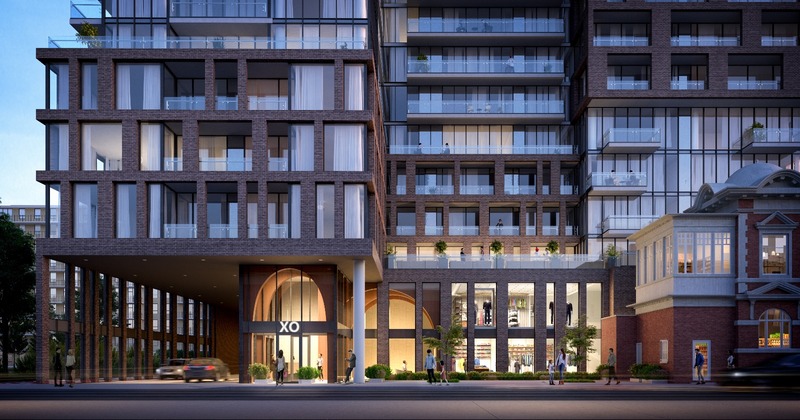 XO Condos launches on April 3. Click below for Guaranteed First Access! Roy Bhandari: Welcome everybody. My name is Roy Bhandari, with TalkCondo, and today we’re at the Bisha Hotel and joined by the Principal of Lifetime Developments, Brian Brown, to talk about an exceptionally exciting project, XO Condos. So Brian, thank you very much for taking the time to talk to us. Roy Bhandari: So XO’s an incredibly exciting project but what I want to start by talking about is Lifetime Developments. Brian Brown: Lifetime’s been around for over 40 years, so we’ve got a strong track record. About 20 years ago we started to focus on the high-rise sector. So we started off in low-rise and today we manage commercial properties, we build our own properties, we do all of our after sale service, so we’re a vertically integrated company and it’s still family run. So, everyone’s in the office on a full-time basis working hard and making sure that everything gets from vision to reality, that we’re able to deliver. Roy Bhandari: Well sometimes the proof is in the pudding, right? I mean you look at some of your past condominiums that you’ve built, it really is who’s who of Toronto condos. I mean from the Four Seasons to Indx to Karma, the Bisha, the Bond. In the last five to 10 years, some of the best projects in the city. Panda recently was [crosstalk 00:02:01]. Excellent excellent project at Yonge and Dundas. Roy Bhandari: And one of the other things that we often look at is how certain builder’s condominiums perform against other builder’s condominiums within the same neighborhood. And again, it’s the same story that we do see Lifetime builders, Lifetime projects often outperform the neighborhood and we’ve seen it in the entertainment industry with Bond and we’ve seen it obviously in your build with the Four Seasons so there is a story and it’s an important story to tell. Brian Brown: That’s a nice story. I like that. Roy Bhandari: Good. So with that in mind I want to talk about XO specifically. It’s in an amazing location, right at King and Dufferin, I’d like first for you to tell us a little bit about the story of why this site initially and how that’s come to be. Brian Brown: So when we first started working on the zoning for this site, there was a lot of back and forth. The process took a little bit longer than typical, but that was because we were working so hard with both the city and the community to make sure that what we were doing fit with the neighborhood and fit with the evolution that was happening along King Street. 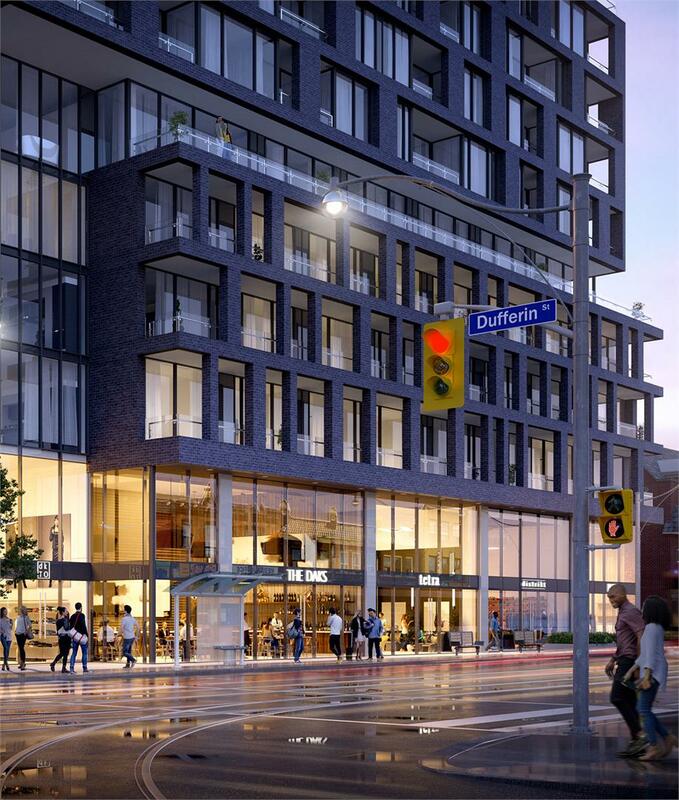 So a lot of the growth that we’ve seen over the last 10 years have started around King and Spadina have gradually moved west, and so King-Dufferin is a very important intersection. Brian Brown: When you look at it today, versus what it’s going to be ten years from now, it’s gonna have a dramatic different feel to the intersection. There’s two developments that we have. So we have XO on the southwest corner and then we have Phase 2 which we’ll launch next year at the northeast corner. And so when you look at the intersection, where it is today and where it is tomorrow will be night and day. Roy Bhandari: It’s interesting that you say that. We’ve seen examples of this throughout the city where it took a developer to do the first one and then the growth happens so much quicker and we see it time and time again. Jarvis and Dundas pops to mind as an area and the people that got in early have done exceptionally well. And we see the same kind of potential in this area. And what we’ve seen as Toronto’s sort of grown over the last few years, is that King Street in particular has really stepped up to become probably one of the most important arteries. You’ve got Yonge Street obviously but King’s really taken on this role as being one of the most important streets in Toronto. Roy Bhandari: You look at how the city treats King Street with the transit pilot, the streetcar, it’s on King for a reason. It’s one of the most busy streets. We see all the development happening along King and the business district moving west along King. So there is this evolution happening and we are seeing it play out. Roy Bhandari: So XO, talk to me about the name. Is it XO, is it hugs and kisses, is it a combination of both? Brian Brown: It’s XO. It’s a little bit of both, but it’s XO. The X was because when you look at it from a neighborhood standpoint we’re really at the intersection of multiple different neighborhoods. We’re on the edge of Parkdale, on the edge of Liberty Village, King West, Queen West, at the entrance to Exhibition Place and all the changes that are happening there. So that was the X. That was the intersection of all these neighborhoods. Brian Brown: The O was because when we looked at the neighborhood and the passion that people had, there was a true love for the neighborhood so we wanted to capture that. And in fact when we launched or started to do our work on the sales office, we hired this artist, Denial, and he did this big mural and he too was trying to capture that love for the neighborhood and so when you drive by now you can see a nice mural that actually is going to, when we start the development, we’re going to be using that mural and putting it into the amenity space on the second floor. Roy Bhandari: You are involved in this kind of process all the time in locations across different areas. I am curious because you did mention the passion of the locals. How does that compare to some of the other experiences you’ve had trying to get a project through the process? Roy Bhandari: A very key distinction and you gloss over that very quickly, but that’s such an important distinction between having a high quality restaurant or coffee shop versus having a dry cleaner or … So this is such an important distinction. Brian Brown: But we look at buildings on a long term basis and we try to get involved in the neighborhoods whether it be through our foundation supporting another charitable cause in the neighborhood, or getting involved in a business association or a residents association, but engaging those groups early on in the process and finding out what’s important to them, what they would like to see happen in the neighborhood is a very important step in the process of the approval. Roy Bhandari: Excellent. Is there anything else on the location that we didn’t touch on that you wanted to hit on? Brian Brown: Well I would say one of the important parts of this building is actually it’s transit score. So when you look at this building it’s got two TTC streetcar lines, it’s got the Dufferin line and it’s got the King line. The King line, you talked about how important King is, but you know how tough it is to get on the streetcar on King. So what happens is as you move through the entertainment district to get to the financial district, there’s a lot of density along King Street when you get around Bathurst and Spadina. And so a lot of times people living in that area have to wait a couple of streetcars to get on it because they’re just too congested. Well at King and Dufferin you’re gonna get on before everyone else gets on, so you’ll get a seat on the streetcar. Brian Brown: In addition to that, the city’s building the SmartTrack line and that’s an important line that will get people to Union Station very quickly and the SmartTrack station’s gonna be built at King and Atlantic Avenue which is two blocks away from this site. So the building actually gets a 100 on a transit score which is not that common. Roy Bhandari: Excellent. Excellent. So I do wanna transition now and talk about the building. XO Condos. So give us sort of a bird’s eye view, how tall it is, how many units, and then we can break down some of the exciting things specifically. Roy Bhandari: Yeah it’s important. We’re seeing this more and more and it’s really speaking to a new demographic of buyer that’s living in Toronto. Once upon a time when investors would solely look at studios and one beds for investment, it is a different conversation now because like you said that demographic that is so prominent now that we’re seeing the need for a kid zone and the larger suites. So all of a sudden investors are having to think about these larger suites as investment options. So it’s really important that you bring that up. Roy Bhandari: The other one I wanted to touch on because you guys always do a phenomenal job is with the lobby. We saw an early rendering of the lobby, it looks absolutely amazing. I know you guys spend so much time on the lobby design but again just from your words, why is that such an important piece of the puzzle. Why should investors care about having a nice lobby? Why is it something that you guys always put such an emphasis on? Brian Brown: It’s first impressions and it’s the front door to your home. And so whether you’re walking into a big space, a big lobby or you’re walking into a smaller lobby, to us it doesn’t make a difference. It’s really the first impression that your friends, your family, your visitors are gonna get when they come to visit you. So we never look at just a suite on its own. When we look at a building and design a building we pay close attention to the driveway, the front door, the lobby, the amenity space, and the suite. So everything has to be done well as a package. Roy Bhandari: Excellent. Is there anything about XO that I didn’t ask about that you’re like you should have asked? Brian Brown: Well the one thing that we didn’t talk about is an amenity that residents in the building get to enjoy, but it’s not part of the building. It’s part of the City of Toronto which is a 20,000 square foot park immediately south of our building. And this park has, over the last five years, been expanded. So the city bought a house that was immediately north of this park and tore it down, expanded the park, and put in a splash pad. And now with our development we’re adding additional land to the park and expanding it further. But the City of Toronto is going to be the ones that are maintaining it. So it’s not part of your maintenance fees, but it’s a great facility and a great amenity. Roy Bhandari: Oh always. Green space nearby, especially downtown, is so important. Excellent. So we’re really excited about XO. It’s one of the projects that’s very very high on our radar and for our investors as well. If clients are interested in purchasing a unit, what do they gotta do? Brian Brown: Stay in touch with you. That’s the best thing to do. You and I, we’ve done a number of buildings together and it’s been a very rewarding experience for both of us, and for that reason they should stay in touch with you because you’ll get first access. Roy Bhandari: Excellent. Thank you very much Brian. We really appreciate it.